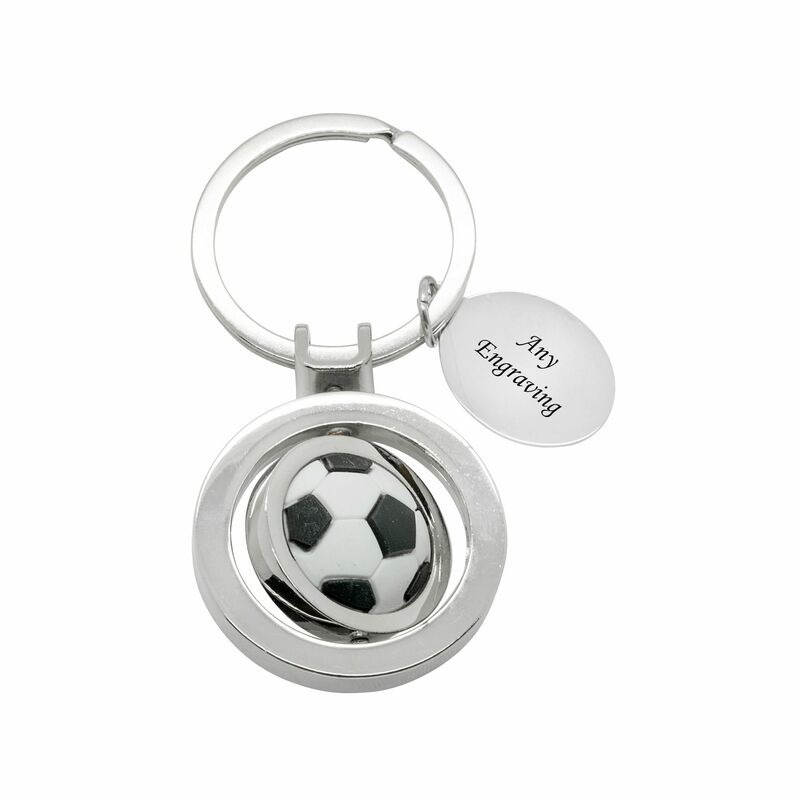 Football Key Ring with Free Engraving. 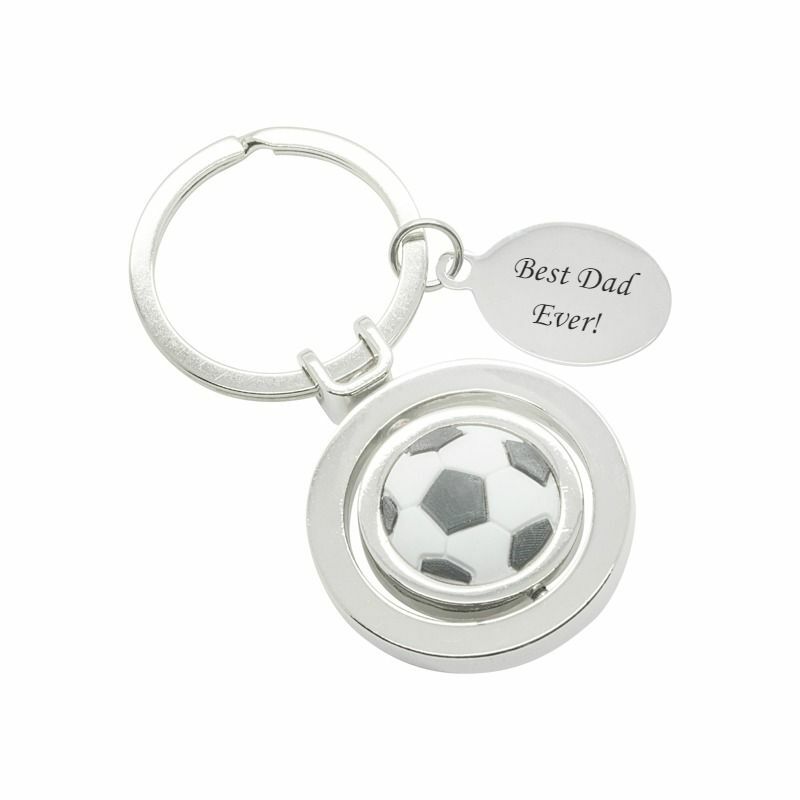 This football key ring comes with free engraving on both sides or on one side of the oval tag. 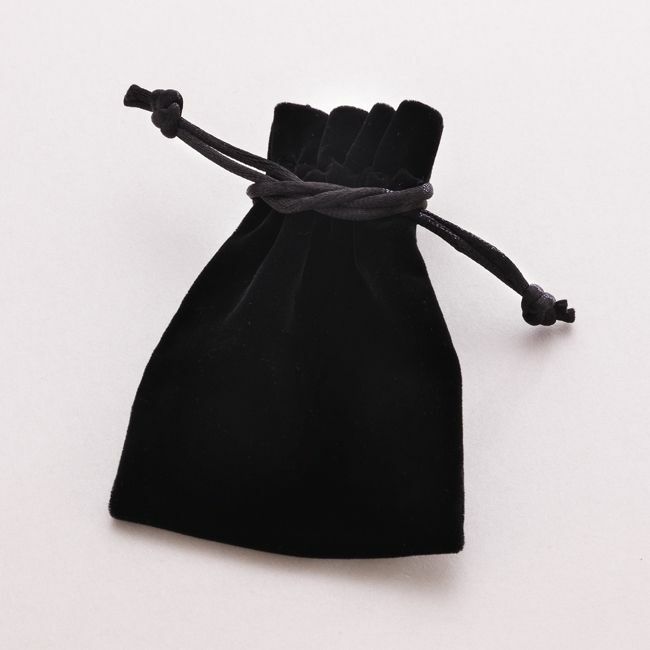 It has a luxury heavy weight feel. A great gift idea for any keen footballer or football lover. Size of oval tag: 23mm x 18mm.